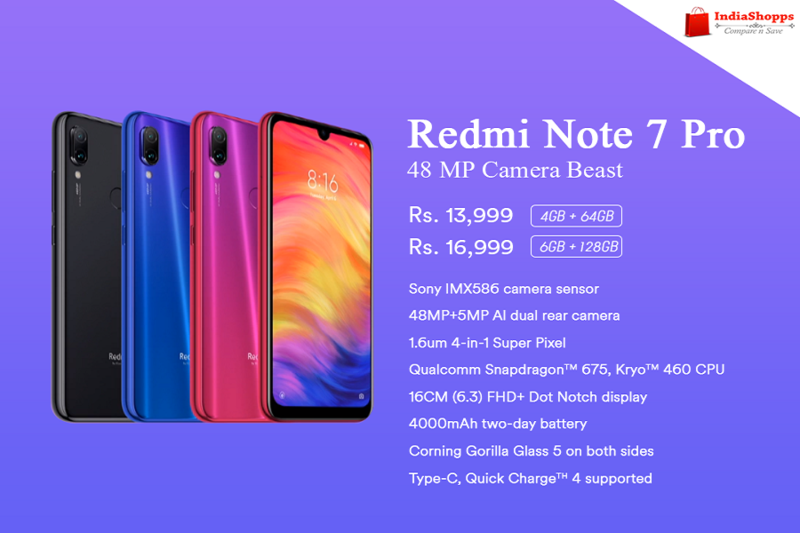 Dear Phone Enthusiasts, the much awaited Xiaomi Redmi Note 7 and Xiaomi Redmi Note 7 Pro launch date, prices and final specifications are out. IndiaShopps once again was correct in reporting all these aspects well much in advance. We have reported all the specs, launch date and prices to our users almost 3 months in advance. Well, time to dig-in deep into details now. Xiaomi Redmi Note 7 Pro : Like the predecessor of Redmi Note 6 Pro, the 7 is getting launched at a very attractive price point of Rs. 13,999. With options of old phone replacement users can save additional couple of thousands. Hence the deal will be irresistible. All you have to do is just wait till the Sale date of 13th March 2019. We all should hope that there will be enough stock that will be pushed by Xiaomi in Indian market to cater to the Indian consumers. NextWhat’s Next in Ticketing ?